AKC/CKC CH Wincroft's Little Dust Bunny - "Rosie"
ROSIE earned her Canadian Championship at 6 months and 1 day of age at the Nippissing Kennel Club shows on October 2003. She won 2 Best of Breeds, 2 Group 4ths, 2 Best Puppy In Groups and an all-breed Best Puppy In Show. 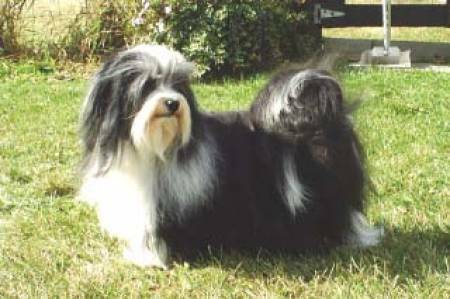 We believe that ROSIE is the youngest Havanese ever to win a Canadian Championship.